Help Me Promote a Wonderful Author! K. Dawn Byrd is an author of inspirational romance, romantic suspense, and non-fiction. She is an avid blogger and gives away several books per week on her blog at www.kdawnbyrd.blogspot.com, most of which are signed by the authors. She’s also the moderator of the popular facebook Christian Fiction Gathering group at http://www.facebook.com/#!/group.php?gid=128209963444. A couple of years ago, the idea of writing a devotional about the lessons I learned while riding a motorcycle came to me. I had no idea what I was getting into and how much writing devotionals would minister to me as an author. I jotted down notes for weeks, hoping to come up with enough lessons to take the reader through a month. Lessons from the Open Road ended with 33 lessons, each followed by Scripture and prayer. Sometimes life is hard. Sometimes learning new things is hard. Just when I thought I’d mastered the parking lot where I was learning to ride my little Yamaha Virago starter bike, I pulled out, forgot to hit the brake, did an Evel Knievel, and jumped a short concrete wall, landing in some trees. My poor little bike limped home with a hole in the crankcase the size of a quarter. J-B Weld to the rescue! All good things must eventually come to an end. I enjoyed my days on the road, but found another passion. Writing. I work a full-time job and since there’s only so much time in the day, I have to choose what’s most important to me. The bike had to go. Occasionally, I miss it, but for the most part, I’d rather be writing. I’m hoping the devotions in Lessons from the Open Road will minister to your heart as much as writing them did to mine. 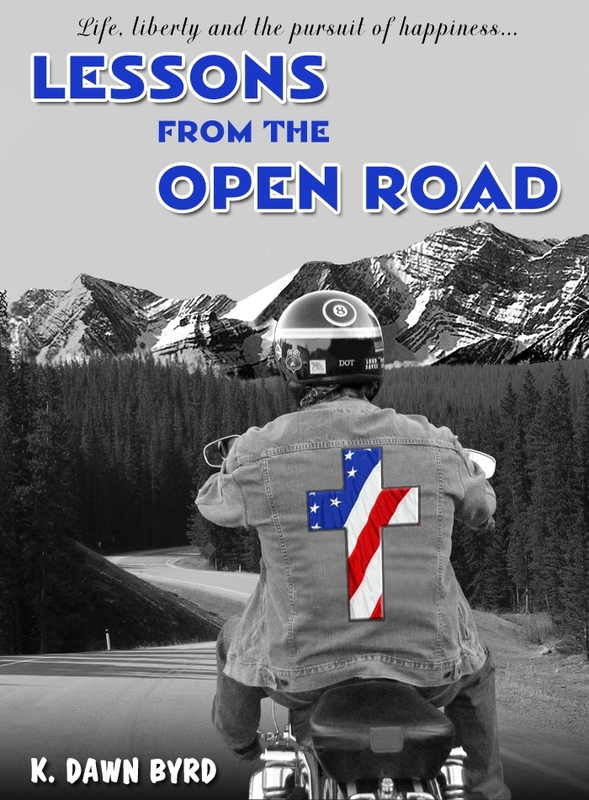 Lessons from the Open Road is currently available in ebook format and will be coming soon in print. I had planned to list it at no cost, but Amazon wouldn’t allow me to do so. I’ve listed it at the lowest price Amazon allows, 99 cents, and all proceeds will be donated to my church’s building fund for the new church that’s currently under construction. I’m also on Twitter (kdawnbyrd) and facebook (K Dawn Byrd.) I am the moderator of the Christian Fiction Gathering facebook group (http://www.facebook.com/#!/group.php?gid=128209963444) If you join this group, you’ll get reminders about the weekly book giveaways. My latest book has been published – without fanfare, a publishing contract or an agent! In the amazing new world of on-line publishing, anyone can write a book and have it transformed into an e-book, at no cost. Unbelievably easy to do, and you are instantly available to anyone who either has a Kindle or can sit and read in front of a computer. Dance with the Divine is a book of profound spiritual truths as revealed to an angry and rebellious teenager. The most common questions that have plagued humans for centuries are confronted by a troubled 13 year old whose family has been torn apart by guilt, shame and despair. What purpose do I have in my life? The answers may surprise you. The knowledge imparted by this slim piece of spiritual fiction will intrigue you. But the profound nature of spiritual truths that resonate in this story will be instantly recognized by your very soul. 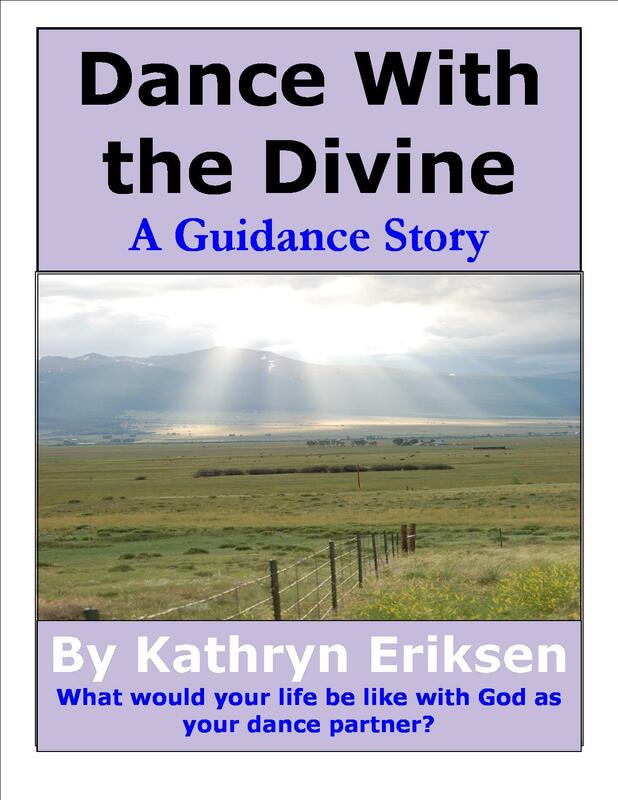 Dance With the Divine is a guide to living a life of love, peace, joy and gratitude. A simple instruction booklet for beginners to learn the steps of the greatest dance of all –how to create your very own dance with the Divine.